WEST CHESTER — Gawthrop Greenwood, a full-service law firm with offices in West Chester and Wilmington, DE, announced that Anthony T. Verwey has joined the firm as a partner. Verwey will focus his practice in the firm’s Municipal and Land Use Department, where he will represent municipalities, appointed officials, school districts, developers and private clients as the firm continues to expand. Verwey began his career with the Supreme Court of Pennsylvania, where he led investigations of alleged rules violations. He went on to run his own private practice, where he represented clients in a variety of matters including legal ethics, professional discipline investigations and defense, and general litigation. More recently, his practice has included advocating at government meetings on behalf of municipal, school and private clients; advising elected boards on governance, open records, prevailing wage and other issues; litigating municipal, school, land development and zoning matters through appeal, as well as conducting internal investigations. Some of his most significant cases have included election recounts, charter school taxation disputes, digital billboards, and even the construction of a radio tower in a residential neighborhood. Prior to joining Gawthrop Greenwood, Mr. Verwey was a partner at the firm Unruh, Turner, Burke and Frees. 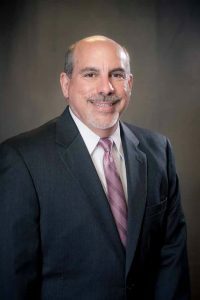 Verwey is a member of the American Bar Association, as well as the Pennsylvania Bar Association, where he serves on the Legal Ethics and Professional Responsibility Committee. He is also a member of the Chester County Bar Association and its Municipal and Real Estate Law sections, as well as the Chester County Catholic Lawyers Association. In 2017, he was elected to the Board of Directors of the Western Chester County Chamber of Commerce. He has also served on the board of Legal Aid of Southeastern Pennsylvania, where he co-founded the organization’s Trial Run 5K. The event has raised more than $200,000 since its inception for the provision of legal services to the disadvantaged.